We invite you and yours out to the ranch to work and eat alongside us and ours. We’re open year-round! The best cattle work and riding opportunities are late spring, summer and early fall. Capacity not to exceed 10-12 riders. 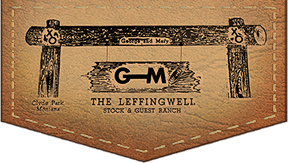 Inclusive rates include comfortable accommodations, delicious meals, and all ranch activities including seasonal ranch riding, fishing, and hiking opportunities. Let us know the time of year you’d like to visit, and we can tell you what the cattle work and horseback riding will consist of in that time frame. Airport transportation is available from the Bozeman, MT Airport for a roundtrip $150 surcharge. This fuel surcharge is per booking, not per person. Daily rate for "short stays", 3-day min. Note: There is a 20% discount for non-riders. 50% deposit is required to confirm reservations.